Hard to find amino acids without preservatives sugars and flavorings. Since amino acids play a role in almost every function your body performs‚ you need to make sure that your supply is well-stocked. You need them for healthy brain function‚ an effective immune system‚ and strong bones and tissues. Amino acids may also work to improve the quality of your sleep. Your body is only able to produce half of the 20 amino acids you need; therefore‚ you must get the other half from dietary sources. It can sometimes be difficult to get all of these amino acids in your diet‚ but you can take a supplement like Klaire Labs’ Amino Acid Complete to ensure sufficient intake. Proteins created by amino acids are used to promote shiny hair and smooth skin‚ but they’re also used to create hormones. 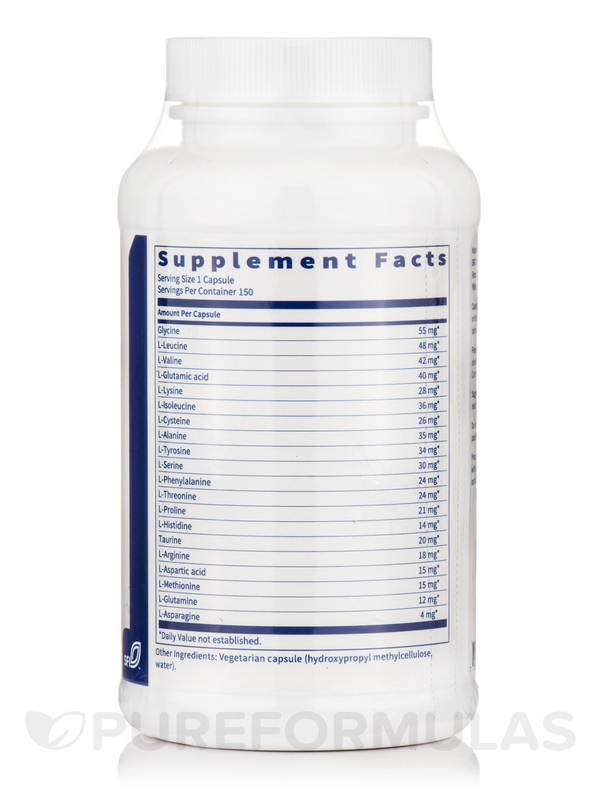 Taking an amino acid supplement can help you lose weight and retain muscle tone. Athletes often take amino acid supplements to boost their performance‚ because of their ability to reverse the breaking down of muscle and increase endurance. Protein-rich foods are the most common sources of amino acids. While nearly all foods contain some level of protein‚ animal-based sources like eggs and meat contain the highest amounts. While some supplements provide a combination of D amino acids and L amino acids (the latter of which are readily used by the body‚ whereas the former must be converted first)‚ Amino Acid Complete only contains easily-absorbed L amino acids‚ making this vegetarian supplement complete source of all the amino acids you need. 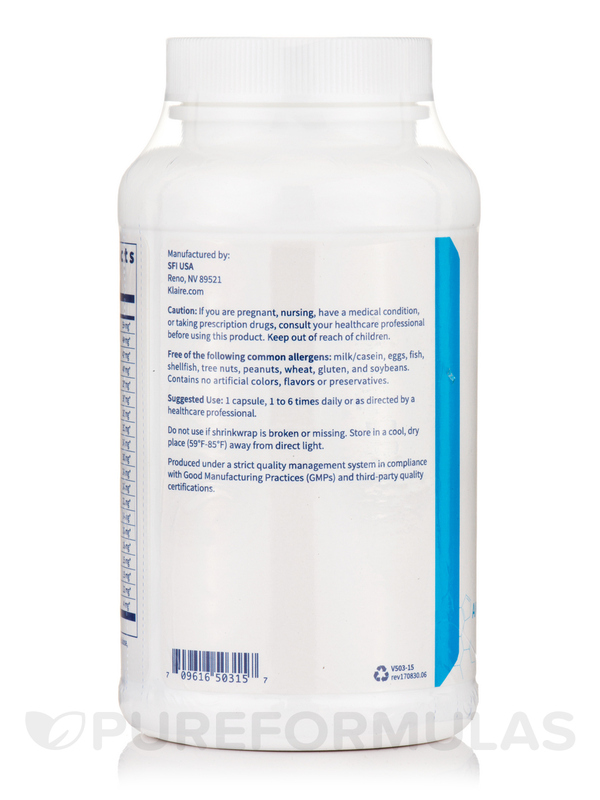 L-Valine‚ which your body needs to maintain a healthy nervous system and effective cognitive functioning. 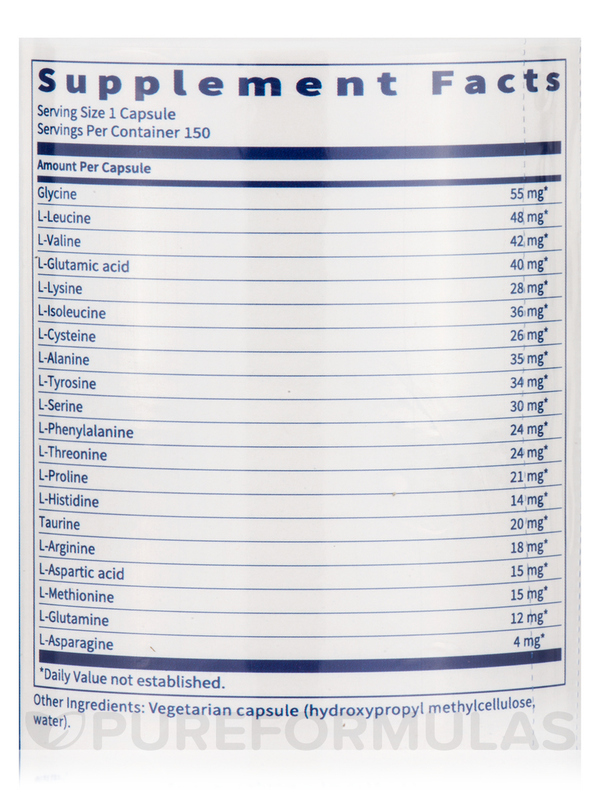 One bottle of Amino Acid Complete by Klaire Labs contains 150 vegetarian capsules‚ which is enough to last for about two months. 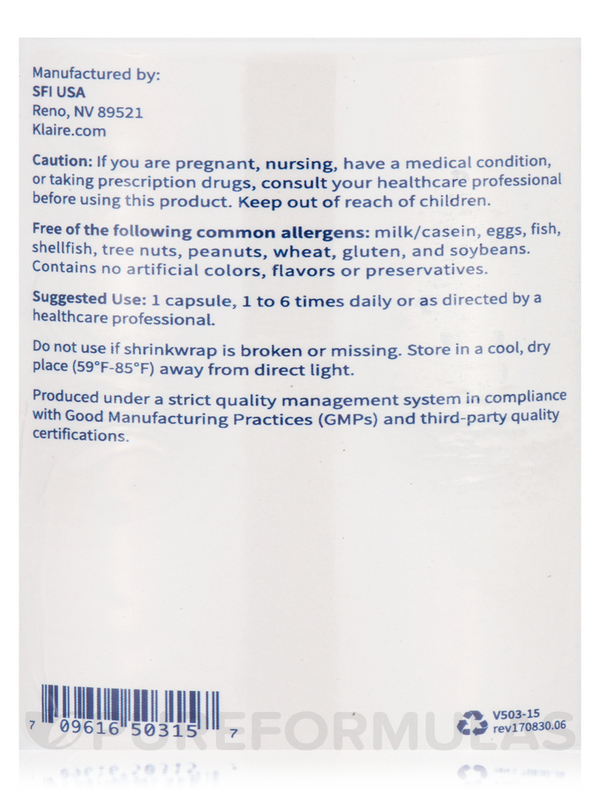 The recommended dosage is one capsule three times daily‚ unless otherwise directed by your healthcare practitioner. Free of the following common allergens: Milk/casein‚ eggs‚ fish‚ shellfish‚ tree nuts‚ peanuts‚ wheat‚ gluten‚ and soybeans. Contains no artificial colors‚ flavors or preservatives. 1 capsule‚ 1 to 6 times daily or as directed by a healthcare professional. This Amino Acid Complete by Klaire Labs worked to restore energy levels smoothly for me. My son's doctor suggested a blend of amino acids. 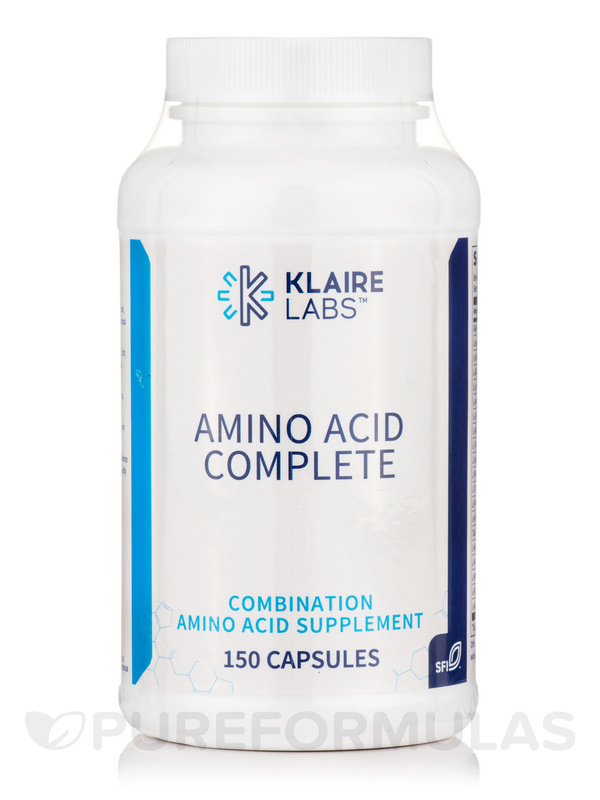 Amino Acid Complete by Klaire Labs seems to have everything in one supplement. I can tolerate which is great with me. Love the fact that I can make into a capsule. As prescribed by my physician Amino Acid Complete by Klaire labs is a hypoallergenic source of digestible complete protein. Amino Acid Complete is part of my overall regimen to balance my digestion for excellent health. We have been using these Klaire Labs Amino Acid Complete for some time now and will be ordering again. Quick and easy re-ordering and fast shipping from Pureformulas is great too. I love pureformulas for the great prices and fast delivery. The best brand.